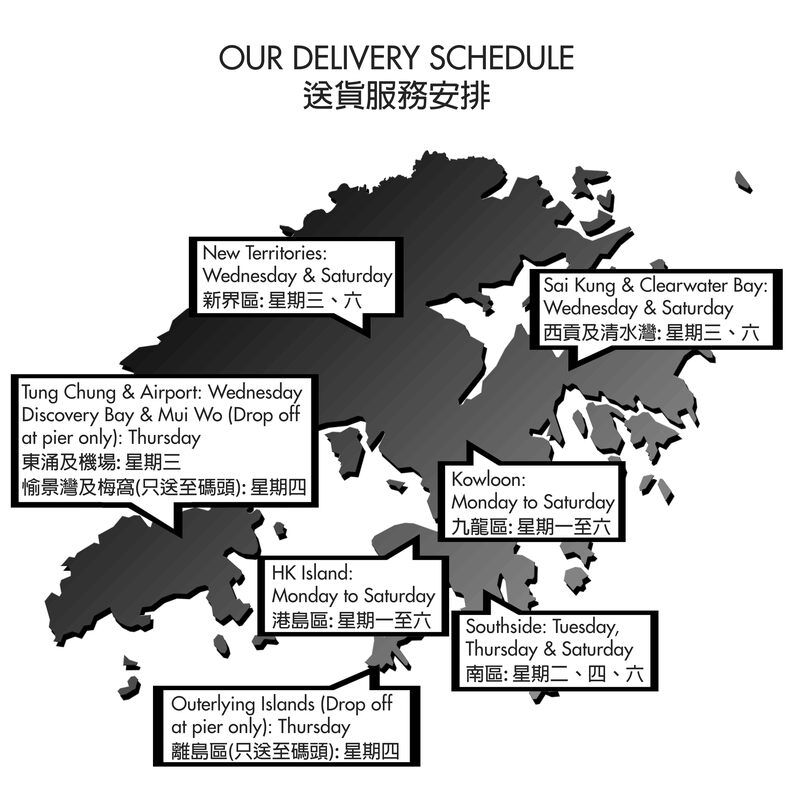 For deliveries to Discovery Bay, an extra delivery fee of $100 will apply for 12 bottles of 750ml. For deliveries to outlying islands, door-to-door service is not available and customers are required to pick up at the pier on the delivery date. 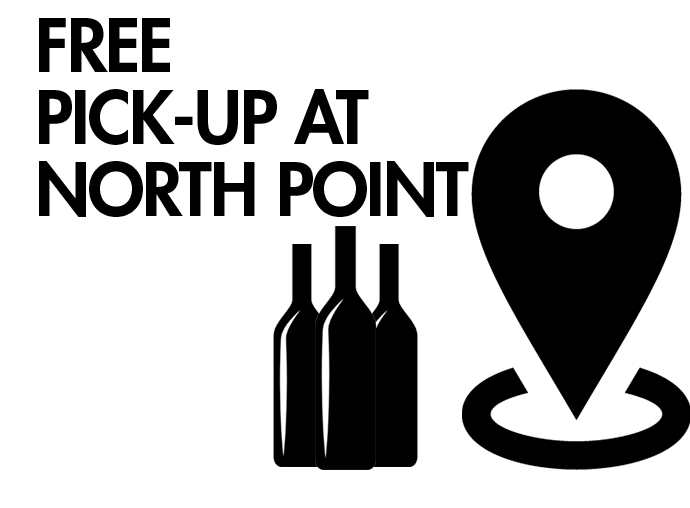 Please allow 3 working days for delivery, although we will do our upmost to get your wines to you as quickly as possible. 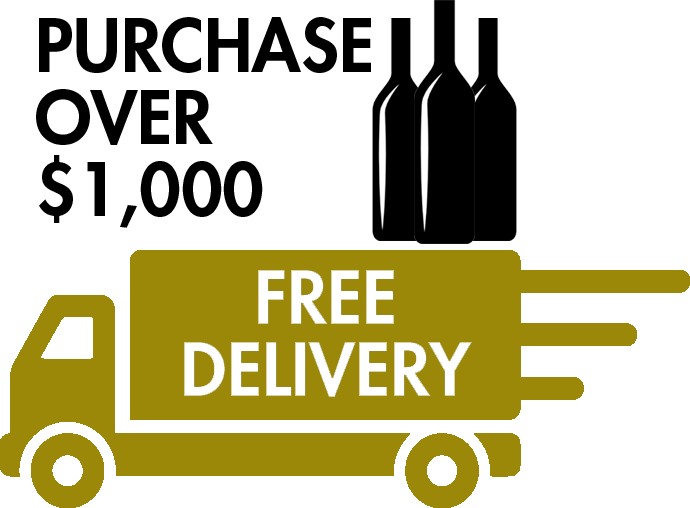 We will call to arrange the earliest possible delivery time once we receive your order. We will not be able to deliver unless you provide a valid home phone or mobile phone number so that we can arrange delivery details with you. If you elect to pay by bank transfer, the order will only be processed after we receive the bank transfer.